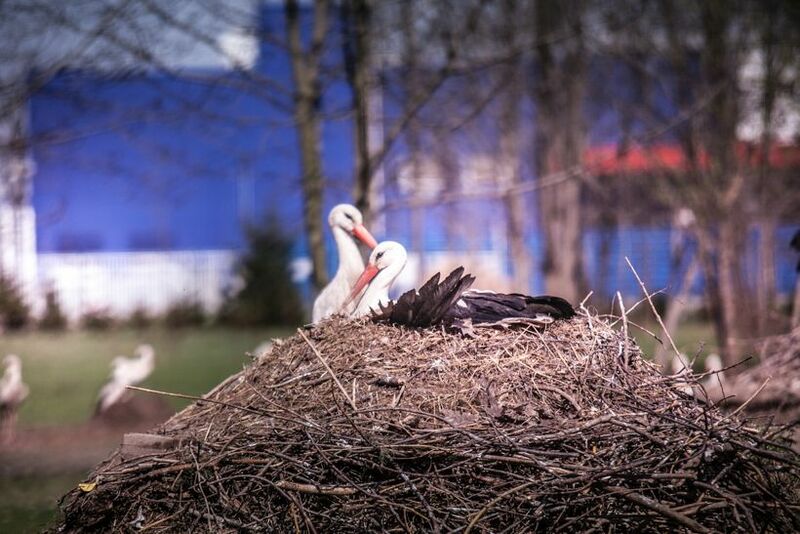 A loved-up stork has decided to stay in Poland so that he can be with his female partner whose broken wing means she cannot migrate. The pair of lovebirds have been dubbed Romeo and Juliet by staff at the ADA animal rehabilitation centre in Przemyśl, who are looking after the female who broke her wing in two places earlier this year. Despite the best efforts of the team of vets, the wing hasn’t healed properly and Juliet will have to spend the rest of her life at the shelter. The tragedy has not cooled her partner Romeo’s passion though. He was a frequent visitor to the wounded female during the breeding season, so much so that she proudly produced three eggs. Two of them hatched successfully and the youngsters have grown strong enough to fly the nest to Africa. Romeo should have joined them, but his attachment to Juliet is so strong that it looks like he will spend the whole winter in Poland. Storks can form pairs for many years, but this is not always the rule. They may mate for just one season and it is highly unusual for a healthy bird to stay in Poland for the winter. They don’t leave because of the cold weather, which they actually tolerate very well. They leave to find supplies of food, which the 4-kilo adult birds need in plentiful amounts. The ADA rehabilitation centre specialises in getting injured storks back to health. For those who will never fly again, it becomes an old birds’ home. If the females manage to successfully hatch young, staff at the centre help to get them airborne: “We pick them up by their wings and gently toss them in the air; they start flapping instinctively,” says Jakub Kotowicz, a vet at ADA. Poland offers a summer home to about 25% of Europe’s white stork population. They are a common site all over Poland and they like to build huge nests, often up to 2 metres in diameter, often on the roofs of barns or on top of telegraph poles. At the moment, Romeo and Juliet are enjoying the last days of summer by talking walks together around the grounds of the shelter.